Prashant Bhushan charged that the BJP-led government "compromised" on national security, left the Indian Air Force "high and dry", just to accommodate Anil Ambani's company in the deal. Prashant Bhushan asked how the IAF has "scaled down" its requirements from the 126 Rafale aircraft. Terming the Rafale fighter aircraft deal "a scam of unimaginable proportion", senior Supreme Court lawyer Prashant Bhushan on Saturday alleged that the Anil Ambani's Reliance Group got an offset deal worth Rs 21,000 crore as "commission". He compared this to the alleged kickbacks in the Bofors gun deal in the 1980s. Anil Ambani has earlier rejected the allegation. "Rafale deal is a scam of unimaginable proportion. Bofors was a Rs 64-crore scam, with four per cent commission paid in that. In this scam, the commissions are at least 30 per cent. The Rs 21,000 crore given to Anil Ambani is just commission, nothing else," he alleged. The Reliance Group, in a statement quoting Anil Ambani's letter to Congress president Rahul Gandhi last month, had said, "Allegations of Reliance benefitting by thousands of crores is a figment of imagination, promoted by vested interests." "Simply put, no contract exists with the Government of India." French company Dassault, which is supplying the fighter jets, has entered into a joint venture with the Reliance Group to meet its offset obligations to create business for Indian firms, following the Rafale deal. 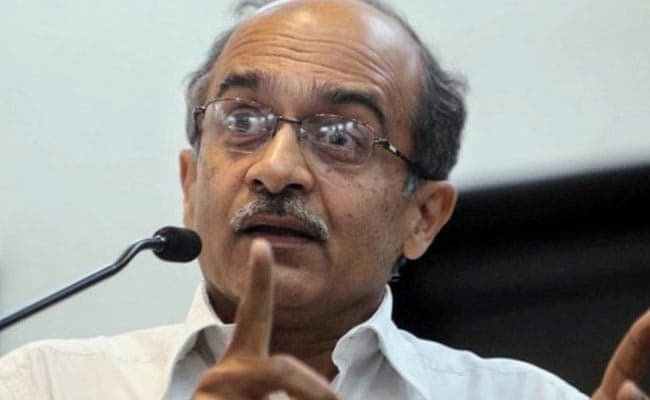 Prashant Bhushan asked how the IAF has "scaled down" its requirements from the 126 Rafale aircraft it wanted and questioned the "disappearance" of transfer of technology clause from the new deal. Accusing the Centre of hiding behind a secrecy clause, he said a joint parliamentary committee inquiry into the deal as demanded by the Opposition is "totally justified."